Blonde is such a versatile hair colour! It comes in a whole host of different stunning shades, from a warm caramel to an ash blonde, a vibrant bleach and an icy white – each as wonderful as the last. Balayage is an incredible hair colouring transition which blends one colour to another naturally. 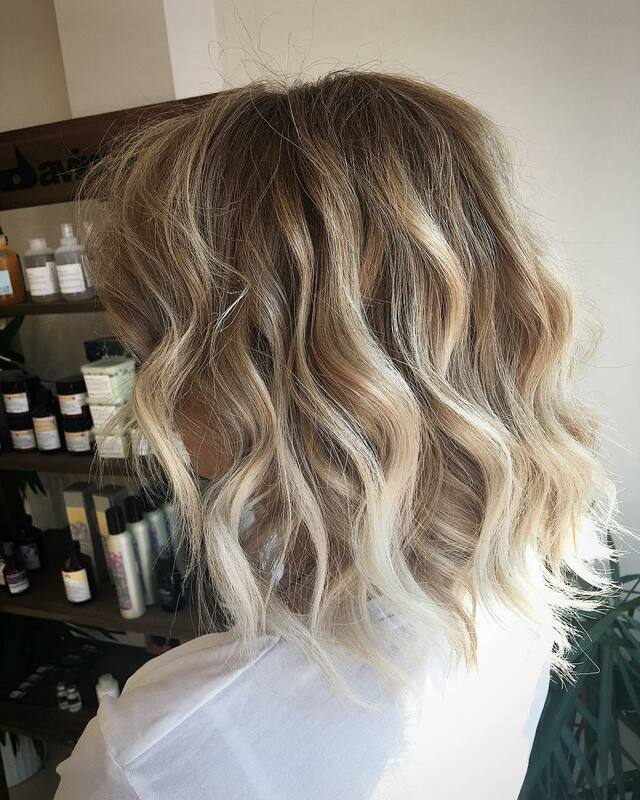 Combining blonde and balayage can create some of the most beautiful hairstyles on the fashion scene – and we’ve gathered them in this handy blog post. Here are some amazing blonde balayage hair colour ideas for you. For gals who want to add a splash of color to their manes without going overboard, balayage is the perfect way to do it. Balayage adds some natural-looking highlights that are blended and scattered brilliantly for a fabulous finish. 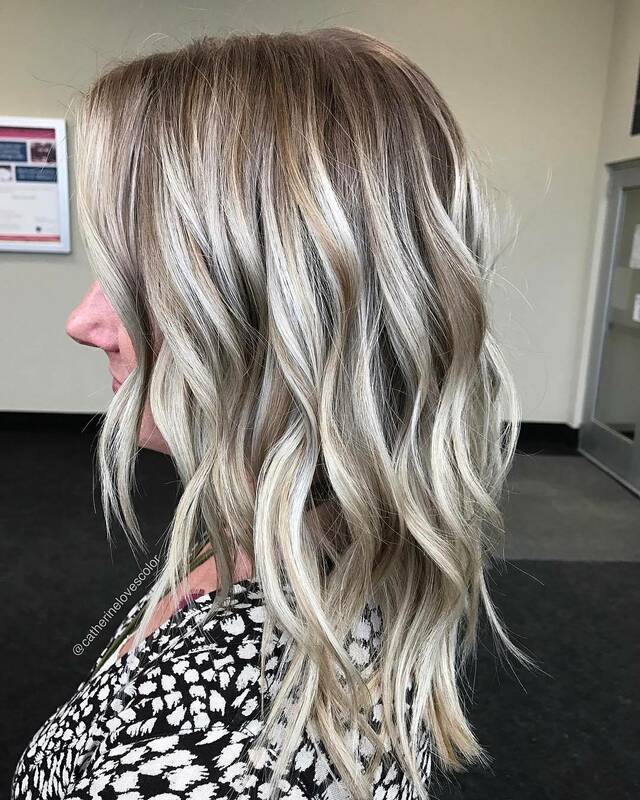 If your blonde locks need a bit of contrast, consider one of these beautiful blonde balayage hair color ideas. 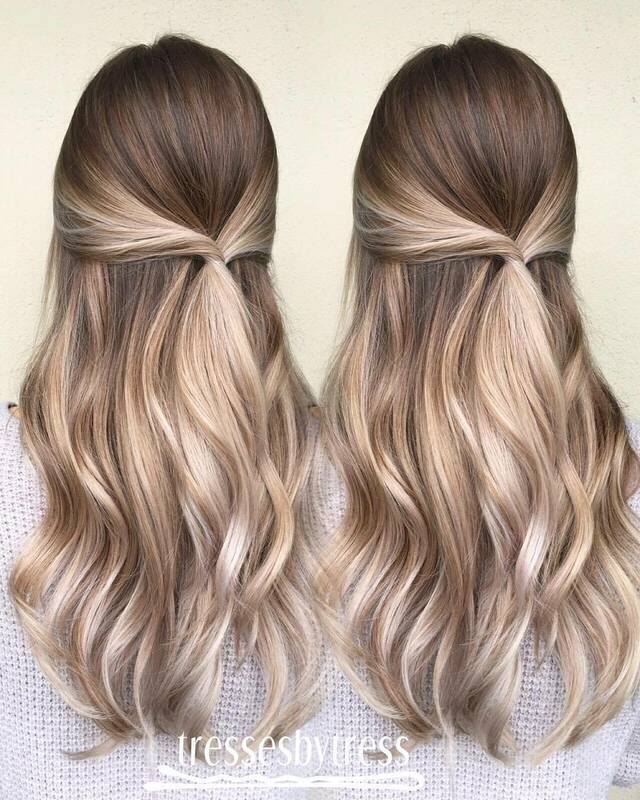 Brown and blonde blend together absolutely perfectly – especially in this stunning medium length hairstyle which we cannot stop swooning over. The hair falls a few inches below the shoulder length and is worked into stunning ringlets from top to bottom. Recreate this look with a deep brown colour at the root. 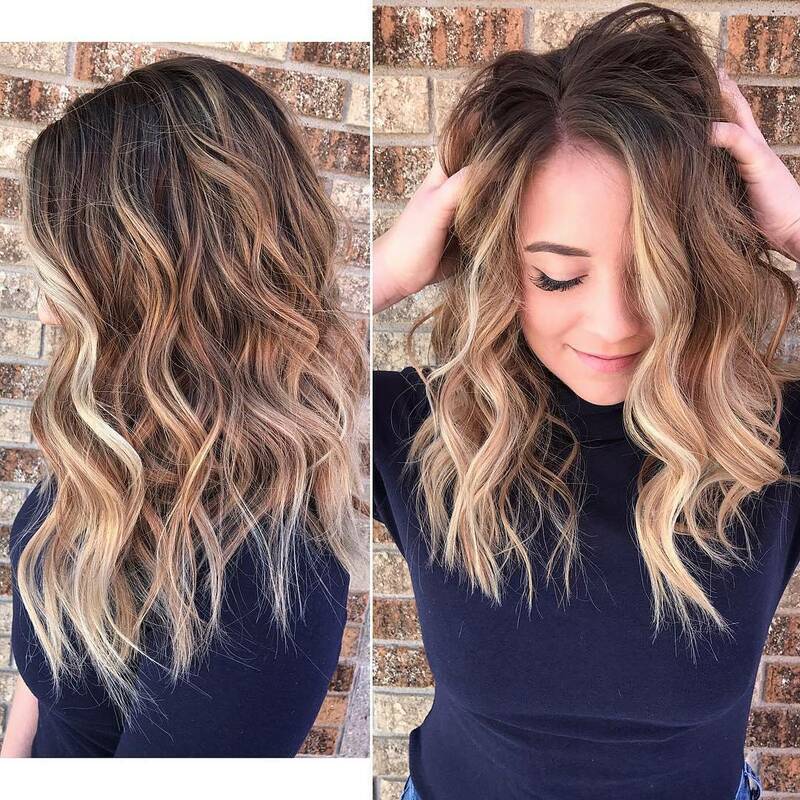 Blend out towards a gorgeous bolden blonde on the ends. 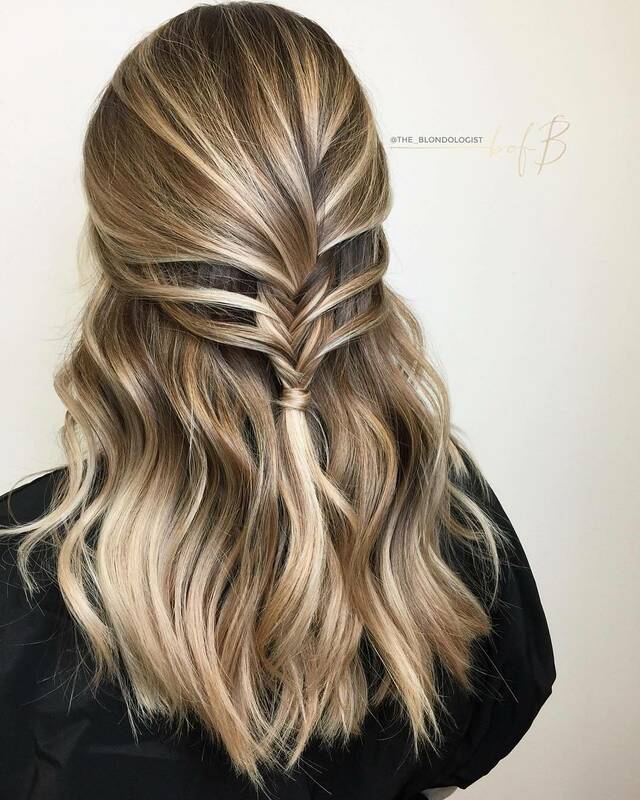 Braids are an excellent way to show off your amazing balayage hair colour transition, as is proved in this beautiful style pictured above. Recreate this look by blending a deep and dark blonde into a gorgeous blonde at the ends. Take the top section of hair and work backwards into a loose French braid style. Loosely wave the remainder of the hair. 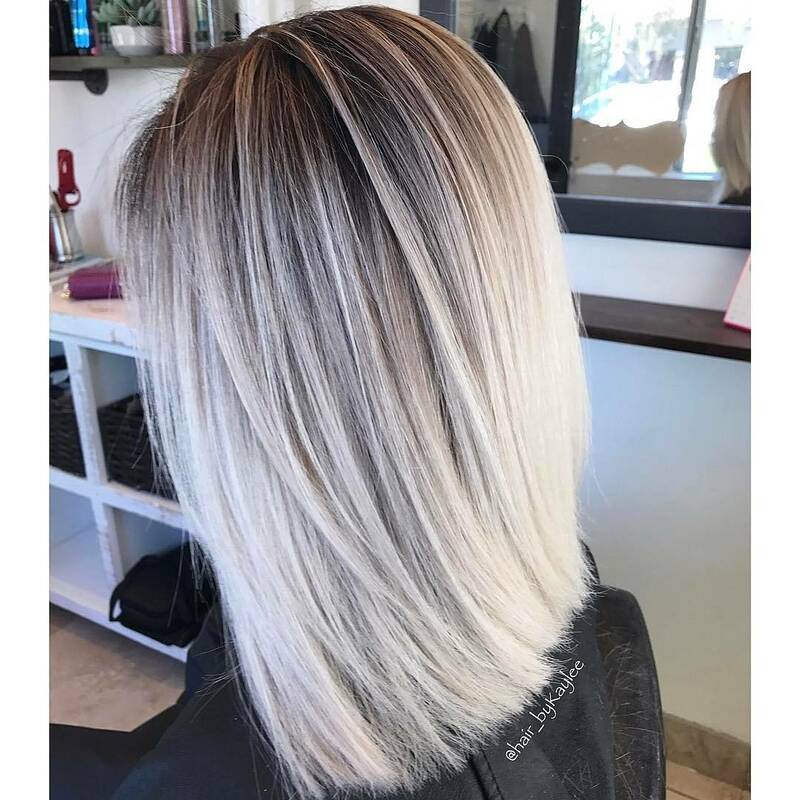 Silver and ash blonde are two colours which might initially not seem to go together. However, after one look at this amazing hairstyle it’s clear to see they work perfectly. Steal this style by chopping your locks into a bob which falls an inch or so above the shoulder. 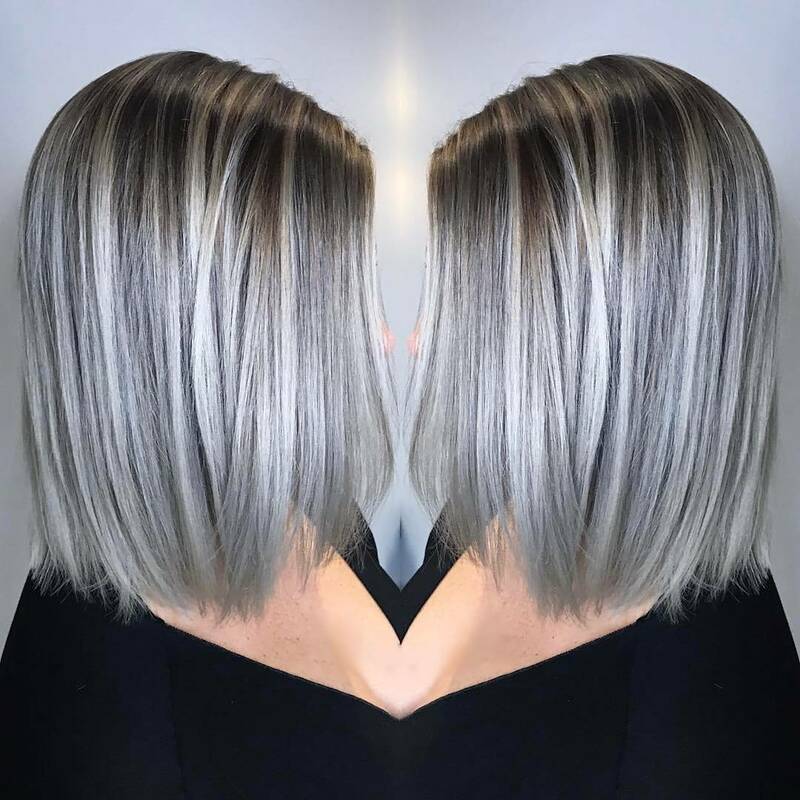 Blend a shiny silver with ash blonde using the balayage technique. Keep your hair straight and sleek to finish. Graduated bobs are incredibly stylish. The ends of the hair graduate from shorter at the front of the face to longer at the back of the head. This forms a cool gradual line. Copy this gorgeous colour scheme by dying your hair a stunning shade of warm blonde. Add golden blonde highlights throughout and curl to finish. Waves are the perfect thing to work into your hair to create a look which will transition from day to night with ease. The balayage at work here is particularly beautiful. Start with a stunning chocolate brown at the root. Blend outwards towards a beautiful golden blonde. Tie the top section of hair back in a half up half down style. Add loose waves to the ends of the hair for an amazing end result. A mid length bob is one of our favourite ways to show off a stunning balayage blend – don’t you think? Choose this amazing style by opting for a medium bob. Keep it falling around the shoulder length. Add a dark blonde at the root of the hair.Blend outwards towards a bright blonde at the tips. Keep straight and sleek to blend to perfection. Curls and balayage blend together oh so seamlessly in a way we cannot get enough of. Blend your locks from a warm dark blonde at the root out to a light blonde at the ends. Crop your hair into a medium length bob which falls around the jaw level. Add lots of big curls from top to bottom for a beautiful and bouncy hairstyle.